Creamy, smooth, completely addictive SunButter Fruit Dip is the perfect treat for Game day, holidays, potlucks, or whenever you’re looking for a seriously delicious treat! 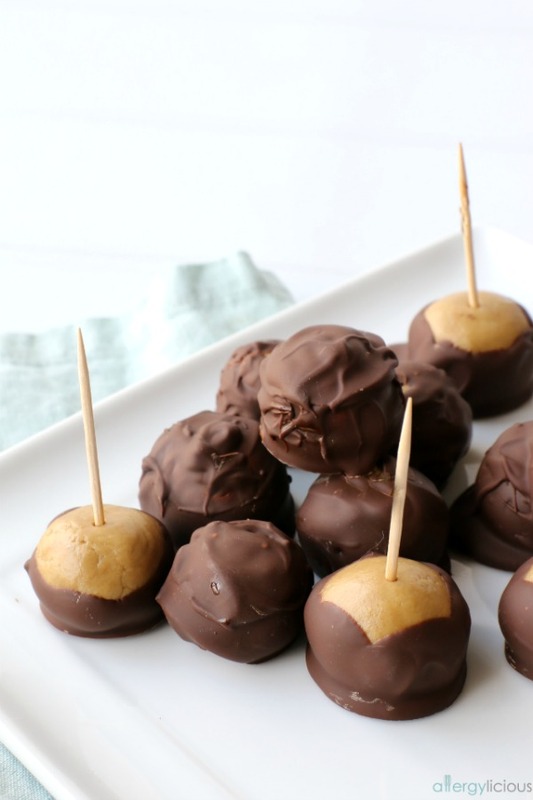 Searching for the perfect appetizer or dessert to serve on your Game day get-together? I GOT YOU friends. 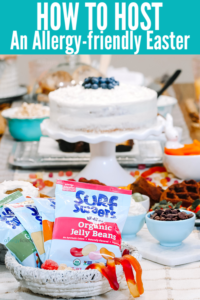 This SunButter party dip is easy to whip up, allergy-friendly, vegan and sure to be a crowd pleaser. Who loves watching the Superbowl? I know I do! I’d like to say it’s because I actually love the game, but that really depends on who is playing. This year….let’s just say that I’m routing for a team to NOT win. You may like it for one of those reasons or maybe you just like to watch the commercials. Either way, it’s the the perfect excuse to hang out with friends and STUFF your face. 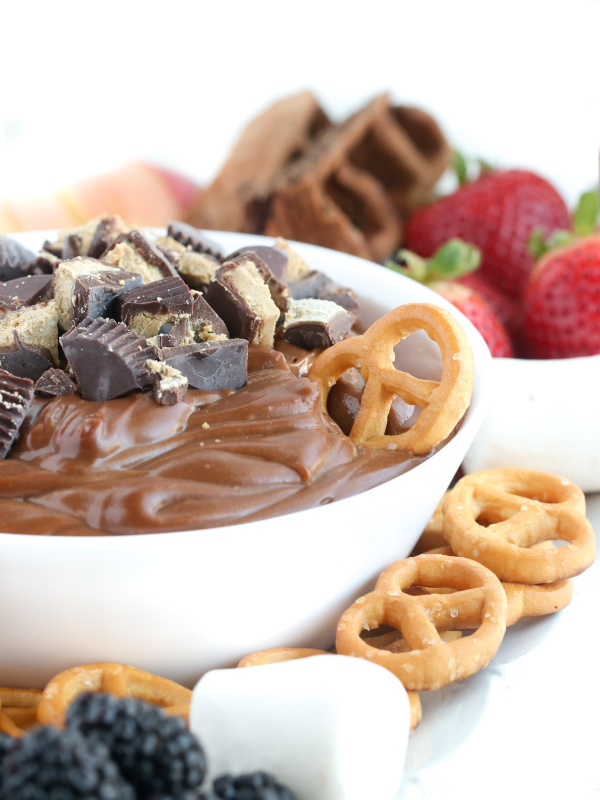 This time though….we’re going to stuff it with a healthier option….my SunButter Fruit Dip. HIP HIP HORAY! 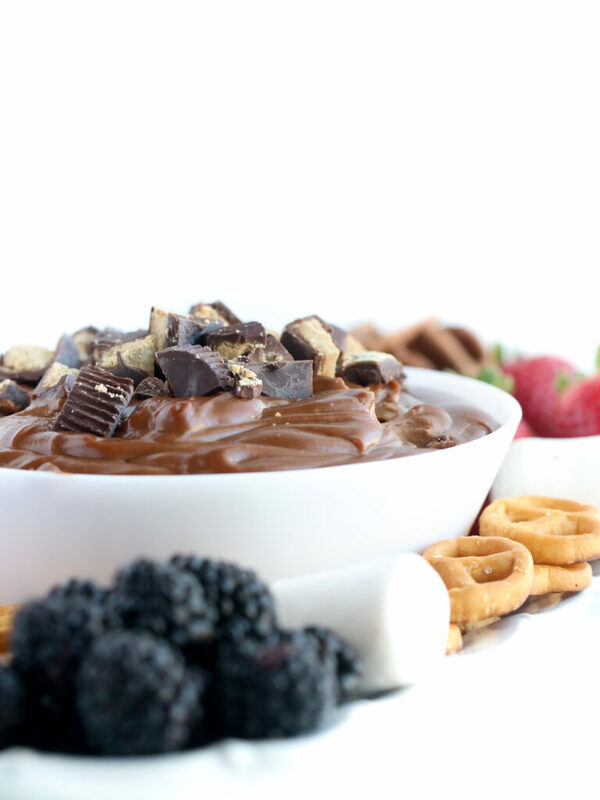 This party dip is smooth & extra creamy and tastes ridiculously like chocolate cheesecake recipe, but without any of the allergens. Best of all – it takes about 5 minutes to make and no baking required. So it’s perfect whipping up real quick if you’re in a pinch and need an appetizer or dessert for that big game, or when last minute guests are dropping by. What are the ingredients for making Fruit Dip? Well, I’m so glad you asked! We’ve been using SunButter in our home for years and I can’t image using anything else….REALLY! 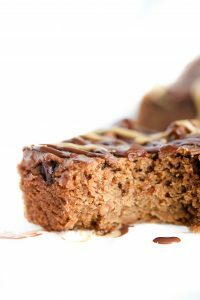 Not only is it the perfect option for my son who’s allergic to peanuts and tree nuts – it’s also vegan and gluten-free which fits a few of our other food restrictions. 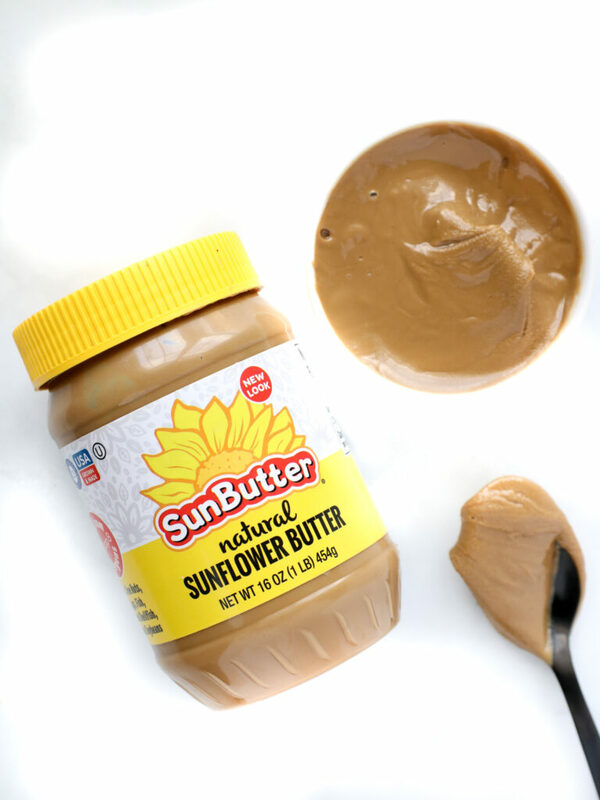 AND, as a Mom, I appreciate that SunButter is a natural, simple, and delicious choice, loaded with 7g of protein per serving and more vitamins and minerals than nut butter. Allergies or not…..this stuff is amazing and takes this Fruit Dip over the top! Now this is the hard part – just kidding! 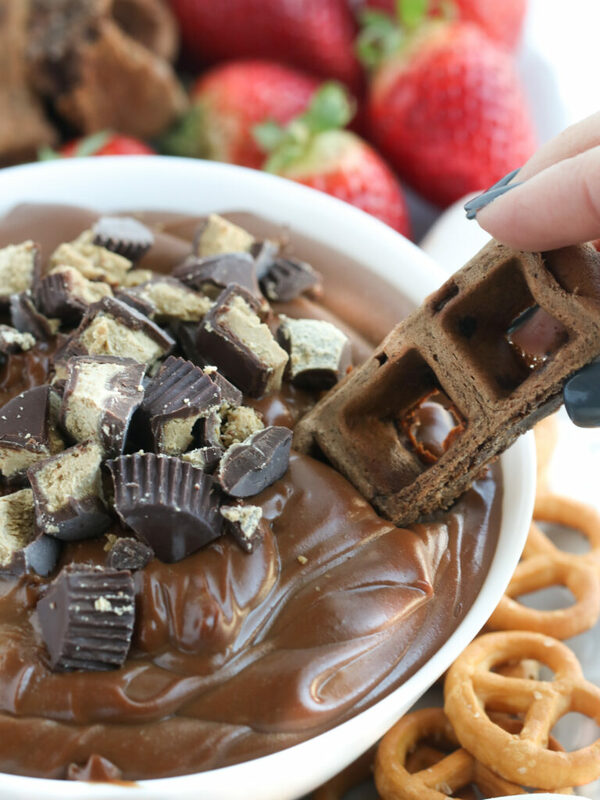 Just blend everything together (minus the toppings) with a food processor, electric hand mixer or whisk until smooth. Super simple, right? 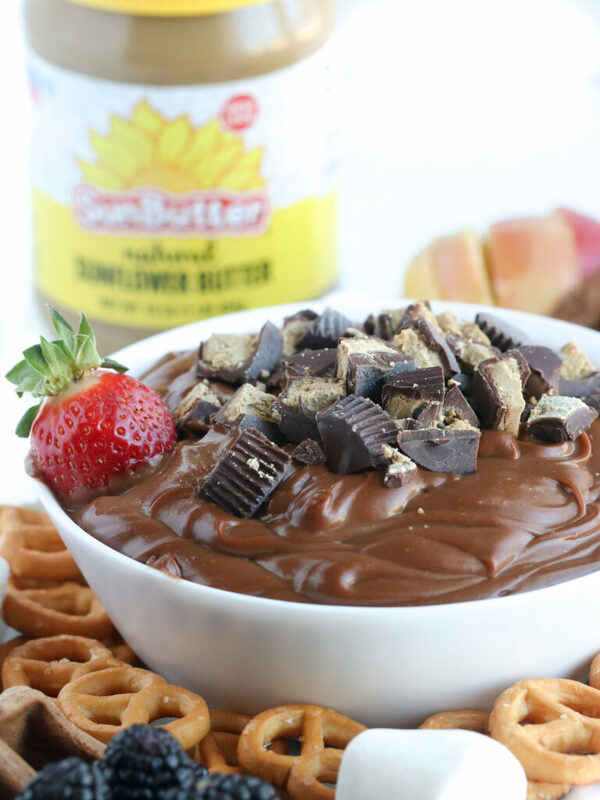 It’s easy to modify the SunButter cheesecake fruit dip to your liking too. For example, sometimes I make it without any mix-ins but other times, I like to top it off with vegan mini chips, crushed chocolate cookies or crumbled cookie dough pieces… seriously YUM ya’ll. 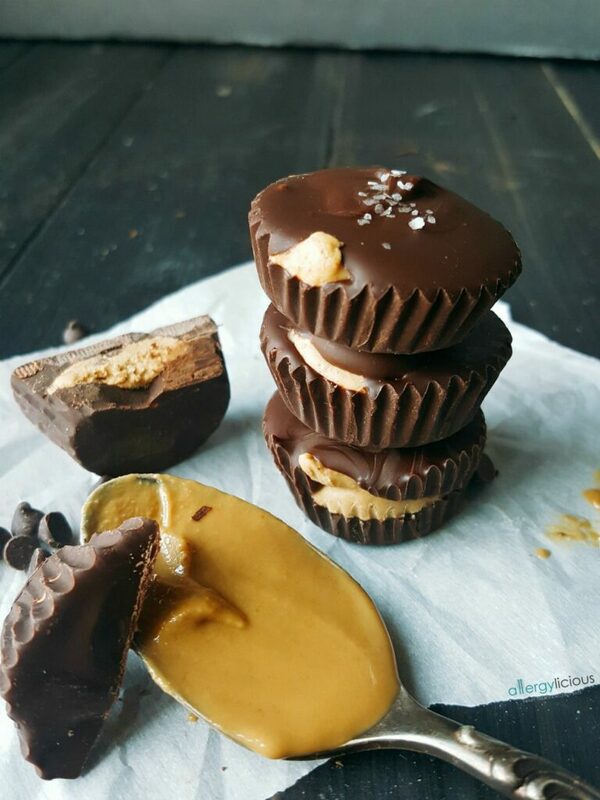 This Game Day, I’m using chopped SunButter cups. Can’t find vegan cream cheese? If you omit it, you’ll miss out on that cheesecake taste, BUT as long as you have dairy-free yogurt, it still works. If you want it a little thicker, simply increase the amount of SunButter. 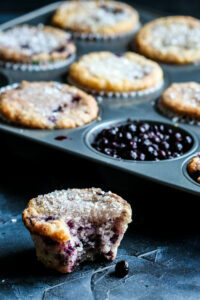 SunButter options: Natural, Creamy, No Sugar Added or even Natural Crunch would work great in this recipe. You can’t do wrong. Which foods are best for dipping? 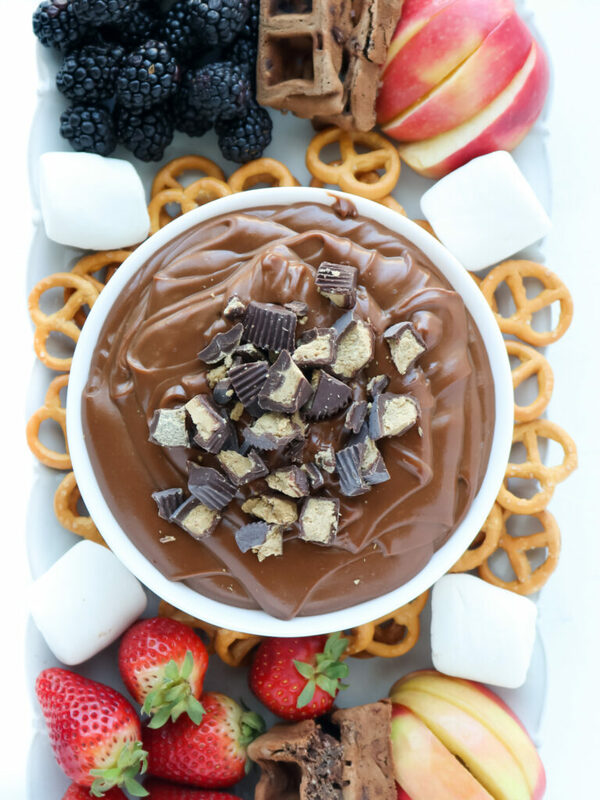 Apples, berries, bananas, grapes, and even pineapple are perfect for dipping! 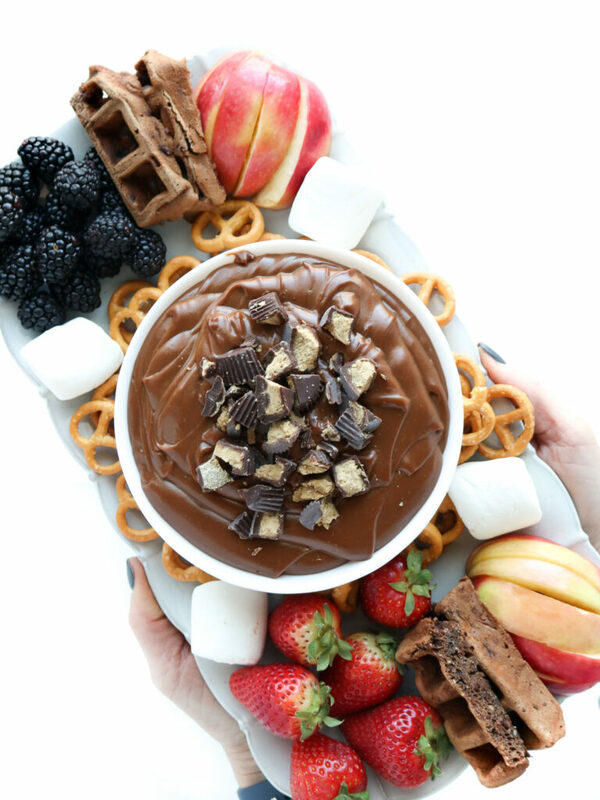 We also love using gluten-free pretzels, homemade waffles, cookies or vegan marshmallows. No food processor? No problem! 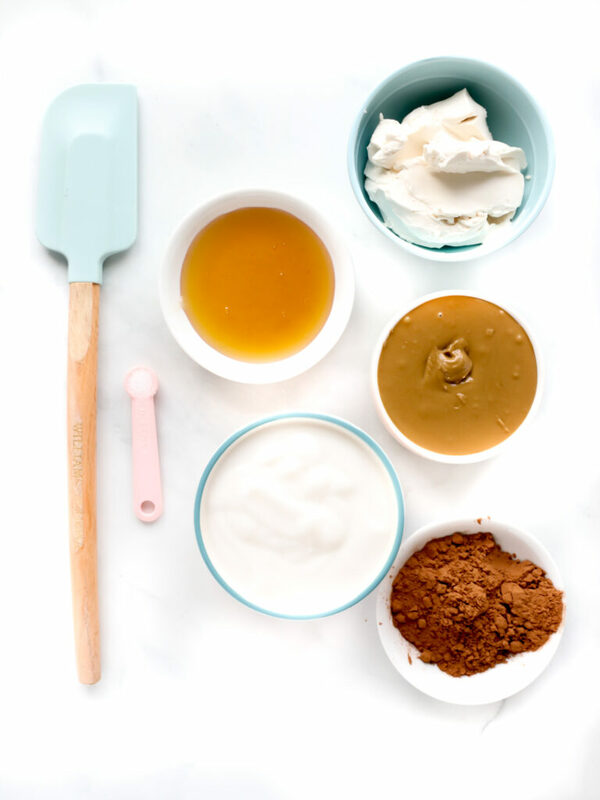 You can use a hand held beater or work those muscles and use a hand whisk – Make sure to let your cream cheese sit at room temperature to soften before so it’s perfectly smooth when it’s mixed together. Can fruit dip be made ahead? You can either serve the dip straight away or store it in the fridge, covered, until ready to use. When ready to eat, let it sit at room temperature for 5-10 minutes to soften before serving. Prepare the fruit last to avoid browning. Whether you’ll be cheering on a team during the game, hosting a group of friends or simply spending some quality time with the kids after school, you’ll score a touchdown with everyone when you put this on the table! 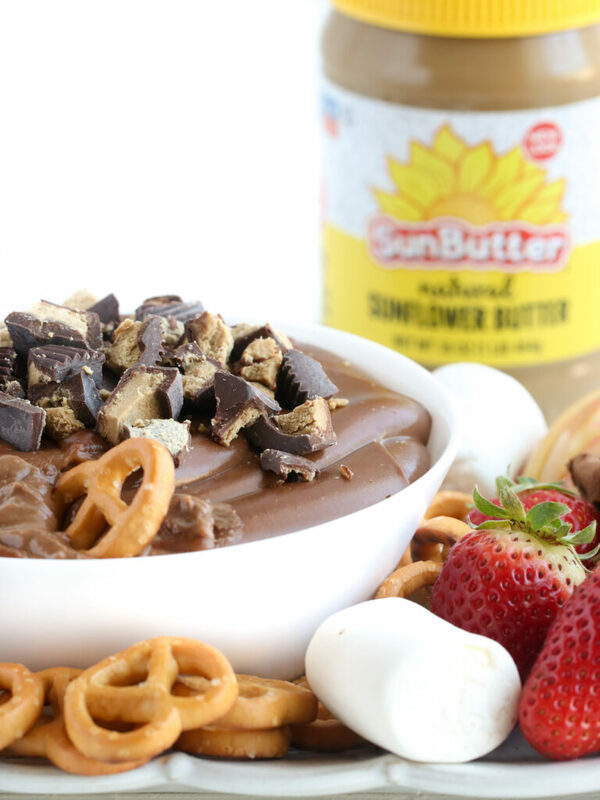 Looking for more No-Bake recipes using SunButter? You’re so welcome! Your friends will love this during the Big Game. Enjoy! The pictures are making my mouth water! Great recipe that I will be trying! This looks incredible! Def going to try it out next week 🙂 I have a little vegan cream cheese and yogurt leftover, so this will be perfect. This dip came out great. I used fresh strawberries! Awesome! We love dipping fresh fruit in ours too! What a delicious way to eat fruit! 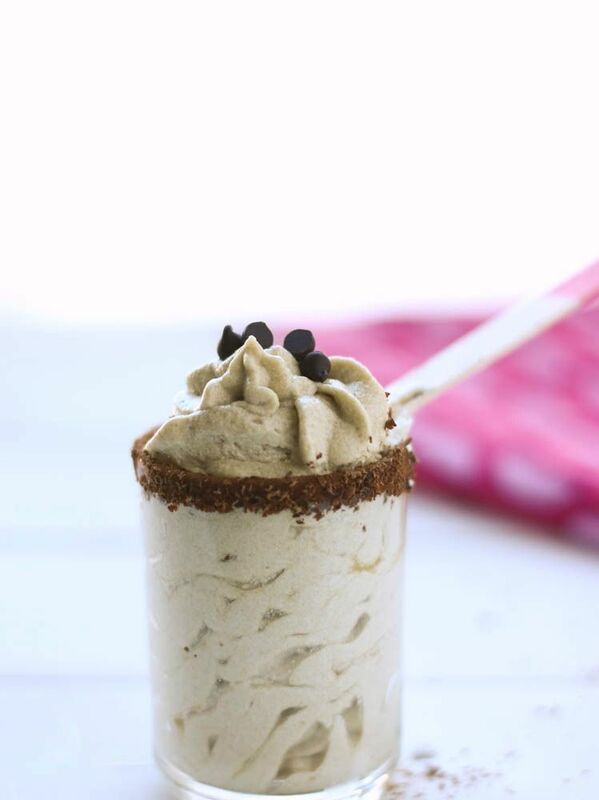 I love this healthy vegan fruit dip. How fun would that be to have at upcoming picnics!